When you join a SonLight Power mission trip, you go prepared. We make sure you’re ready to work smart and safe. When you’ve completed one of our Solar School workshops, you’ll be confident of your contributions both as an individual and as part of a team. SonLight Power provides informative, engaging, hands-on solar training in a friendly setting that builds your technical expertise and encourages team-building. We've designed workshops to fit your needs. Whether you're looking to apply solar power in the mission field, interested in adding a solar power component to STEM-based curriculum, or just curious about solar power and its applications at home, we have a workshop for you. 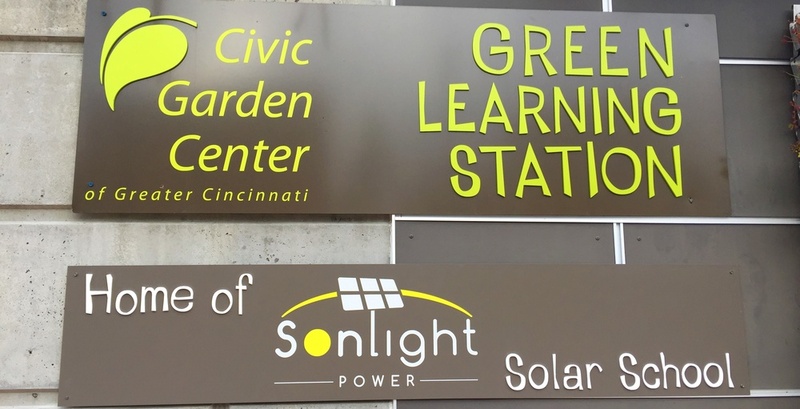 In the Midwest, SonLight Power Solar School is located at the Green Learning Station of the Civic Garden Center of Greater Cincinnati, just minutes from downtown. The Solar School environment can be adjusted to simulate conditions encountered in the mission field or wherever solar power is installed. There is ample time for questions and answers, including what to expect on your mission trip. Unless otherwise posted, Solar School workshops run from 8am-4pm. Don't have a solar background? Don't worry. We provide instruction for solar novices as well as intermediate and advanced solar technicians. You'll leave Solar School ready and eager to put your new skills to work. The Green Learning Station on the Civic Garden Center campus is a natural fit as a SonLight Power Solar School venue. The Green Learning Station is a place for people to get outside, play around with science and sustainability concepts, and take new ideas home to try. What's more, it's located just minutes from downtown Cincinnati with proximity to hotels, restaurants, entertainment, universities and all that the city offers. Solar School complements the Civic Garden Center's range of classes, tours and workshops for all ages. SonLight Power solar workshops for the mission field and for general audiences are scheduled on Saturdays throughout the year and filled according to demand. STEM-related solar power workshops with area schools and universities usually take place on days or evenings when school is in session. Note that the entrance to the main parking area is on Oak Street, not Reading Road. Fees for mission-related and general purpose workshops are $200 per person. Additional immediate family members are $100 each. STEM-related workshops are handled separately. Contributions above the workshop costs are welcome to help sustain our solar-powered mission. SonLight Power is a 501(c)(3) non-profit organization, so contributions above the registration fee are tax deductible. Workshop fees cover all training materials and meals. Solar School workshops are scheduled on an on-demand basis. Check the SonLight Power Mission Calendar for dates and locations of upcoming Solar School workshops.